How to tie Fishing Knots? Awesome Fishing Knots tests strength of fishing knots. Every fishing knot has video tutorial, demonstration, practical use instructions videos from the best "How to Fish" YouTube fishing channel in the world. 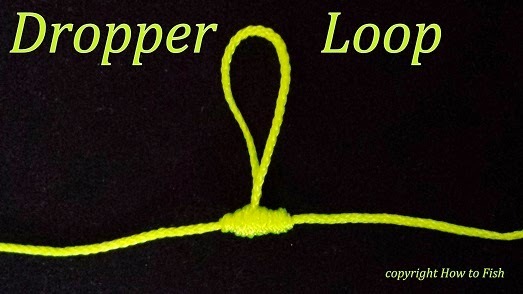 The Dropper loop is a type of loop knot which is often used on multi-hook fishing lines. It can be created in the middle of a long line and forms a loop which is off to the side of the line. You can tie Dropper Loop fishing knot in lots of rigs ex. add hook to trout rig, or add more hooks to deep sea fishing or tie your jig for bass fishing... If you are creative you will find lots of different ways to tie this loop to your fishing line. Improved Clinch knot vs Clinch knot breaking strain tests! Catch worms my way!! !The easiest way to catch worms!!! How to hook a maggot?The proper way to hook live maggots! Palomar knotTie strongest knot in less then minute! Snell hooks togetherSnell many hooks together! 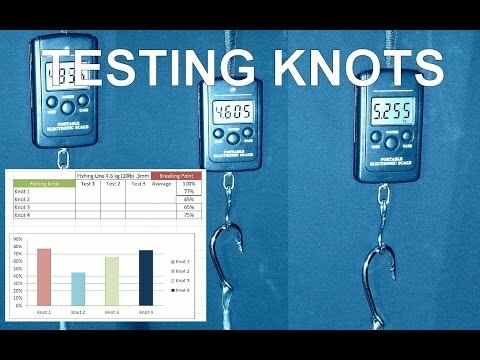 Palomar vs Snell knot test!Test 2 fishing knots strenght! All rights reserved. Awesome Inc. theme. Theme images by konradlew. Powered by Blogger.